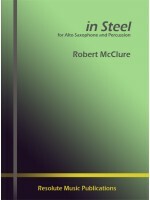 by Robert McClure.A rhythmically-advanced new duo for alto saxophone and percussion. 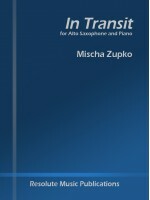 Commissioned by..
by Mischa Zupko. 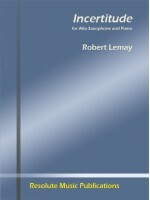 For Alto Saxophone and piano; dedicated to Timothy McAllister. 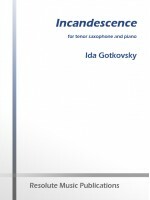 **Now an option..
by Ida Gotkovsky. 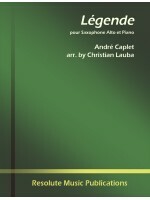 Commissioned as part of the Contemporary Tenor Repertoire Initiative by 25 saxopho..
by Robert Lemay. 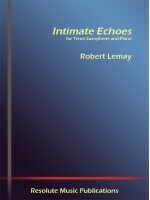 Written in 1999 for Rémi Ménard (one of the last students of Marcel Mule in Paris) ..
by Robert Lemay. 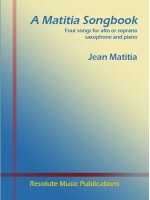 For tenor saxophone and piano.Commissioned by Dr. Jeffrey E. Vickers in 2010, Intim..
by Jean Matitia. Four light-hearted, lyrical songs (without words!) 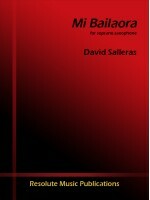 for alto or soprano saxophone wi..
by David Salleras. 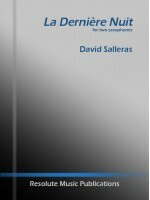 A flamenco-inspired virtuoso work for any saxophone. Composed in 2006, Mi Bailaor..